With Son Heung-Min’s white-hot December, online debates have naturally started to heat up comparing two of Asia’s finest in the Premier League: who’s the better Asian player between Manchester United legend Park Ji-sung and Spurs’ Son Heung-min? And, to be fair, it was bound to happen. Park Ji-sung needs no introduction as a staple in Premier League folklore: a four-time League winner along with numerous cup titles including United’s European triumph in Moscow, Park is most often referred to as United’s big game player and indefatigable work-horse, with a third of his goals coming against Chelsea, Liverpool, and especially Arsenal while usually deployed as a defensive winger either on the left or the right. Son’s growing role as a goal-getter alongside one of the league’s top strikers in Harry Kane has gotten him noteworthy recognition. A member of Spurs’ talented attacking quartet alongside Eriksen, Alli, and Kane, Son is in a unique position where his development almost matches that of his current club Tottenham – a team that had not very long ago aspired to break into the top 4. Now, a fledgling European power whose presence in the Champions League no longer comes as a surprise. But the better player between the two? Statistically, the numbers heavily lean in one direction. 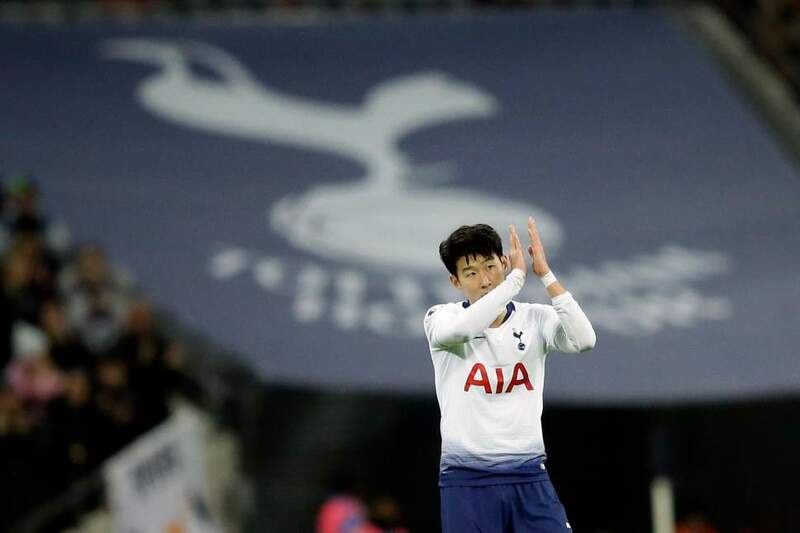 Son Heung-min has already surpassed Park Ji-sung in the amount of goals scored by an Asian footballer in the Premier League, despite Son being in England for half the time Park’s played for United. Let’s forget Queens Park Rangers even happened. And appearances don’t lie; besides two outstanding seasons, Park never hit the thirty appearance mark for United – although the last couple of years could be attributed to his niggling knee injuries. Meanwhile Son has cemented himself in Tottenham, missing no more than two matches a season if not for injuries or international duty. But it’s their roles at their respective clubs that provides a greater perspective. Park’s career actually painted a different picture to the more fondly looked-at revisionism of his time at United. Despite playing in the majority of United’s games in his first season, Park had been seen more as a bit-part player while at United. It wasn’t until his breakout season, in a sense, in 09-10 where his reputation began to change. It had been a massive year of questioning for United; with their talismanic “World Player of the Year” now at Real Madrid, questions loomed over the club as to whether they’d be able to fill the gap, especially after a window where they signed Antonio Valencia from Wigan, Michael Owen on a free, and young Gabriel Obertan from Bordeaux. Wayne Rooney obviously deserves the credit for answering emphatically to filling that role, but Park certainly did not shy from the challenge as he began to cement his status as an important player in important games. Following a season where he had scored away at Chelsea to gain a precious point and against Arsenal in the Champions League semi-final, Park would continue by scoring against Arsenal at the Emirates once again, against Liverpool in front of the Stretford End, and against A.C. Milan in the Champions League, glossing the tie with United’s 7th goal on aggregate. It was this same match-up Pirlo alluded to in his own autobiography, where he claimed Sir Alex had “unleashed” Park upon him. Park would continue to perform, despite his limited appearances. The following season he was the hero in another chapter of Fergie Time folklore, scoring a brace against Wolves with the game winner coming from the Stretford End in injury time, and it was this same season where he also scored the immediate reply against Chelsea in the Champions League quarter-final, sealing the tie for United to win 2-1 on the night, 3-1 on aggregate. Son Heung-min’s career has developed differently; in fact, it’s still developing. At 26, he continues to ply his trade in his fourth year at Tottenham Hotspur. 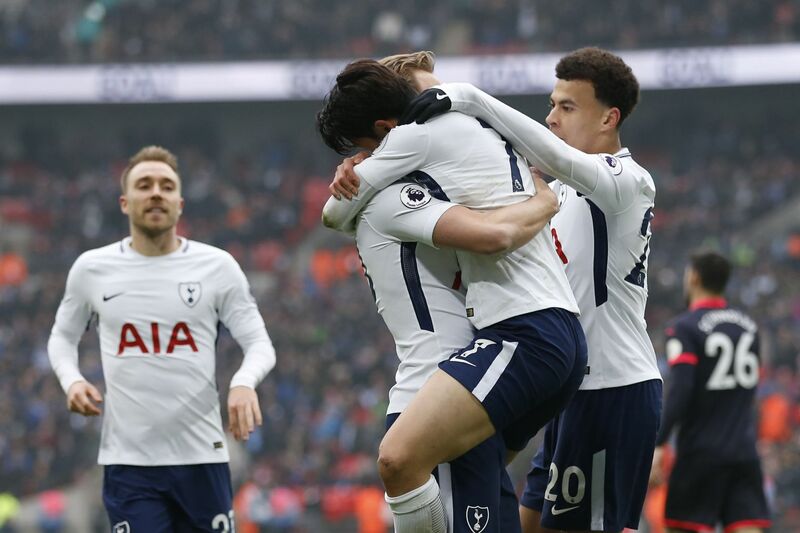 Like Son, Spurs as a football club seem to be reaching new heights – a young, talented team making noise in Europe, and one of the two reasons why the ‘Top 4’ is now a ‘Top 6’. With Son firmly backed by Pochettino, the grandmaster to Spurs’ entire project, it’s tempting to flirt with future grandeurs; Son is a striker who continues to grow as a prolific forward. Including this month’s haul, Son has been involved in at least one goal per two appearances at Spurs. That’s 89 goals or assists in 164 games. Statistically, there’s no denying that Son Heung-min is an asset to any squad. He’s continued to grow in the Premier League, and his white-hot streak of form seems to show just that. But that’s what they are – streaks. Son is that type of player; even at both Leverkusen and Hamburg, he would hit highs and lows in form. There is no questioning his talent – no one can deny his ability of hitting worldies or far-post dingers. But there are spells of absence in both goals or assists in his game, and even this season he hit that perpetual obstacle that he’s faced every year. Of course, this year is a bit different; fresh off a Germany-beating World Cup summer and then an Asian Games trip in the following month, Son would have to be nearly superhuman to return to Spurs and hit the ground running. Yet it took until the end of November for Son to score his first goal. But, as stated, this year is a bit different. After that solo run against Chelsea, Son has seven goals and three assists to his name in the month of December. It would come as no surprise if he finished December as the league’s Player of the Month – a third for Son if he is to seal the award. Looks like his form has struck earlier this year. The question as to who’s the better Premier League Asian export boils down to what each player provides; Park throughout his time at United molded himself into a player who, despite being sparsely used, delivered on numerous occasions be it closing down players, providing that extra energy in midfield, or breaking-up play just as often as he’d link it. And as his career developed, he’d develop a knack for scoring massive goals. Park competed in a title-winning midfield that rotated its wingers with Ronaldo, Giggs, Nani, Tevez, and a number of others depending on formation – two Champions League final appearances being just a pair of the nearly 200 appearances Park made for United in all competitions. His role varies widely from Son’s, as Park functions more as a support player, but one only needs to take a look at his company, club, and accolades if one were question his ability. Son finds himself in a different position. As a goalscorer, there’s no denying that there’s a more poignant responsibility he’s expected to fulfill when on the pitch. What’s brought him in contention with this comparison with Park already speaks to his quality; the question now boils down to consistency, and then, of course, if he’s capable of doing it with a side that can win silverware. As for now? He still has time. Son certainly holds the unique potential of possessing an even more extravagant career than Park Ji-sung’s. 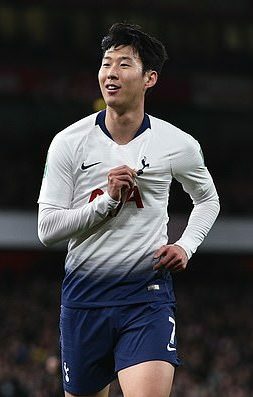 Whereas Park had to deal with public scepticism of his worth and ability at United, Son’s talent almost seems universally appreciated – the considerable attention on Korea’s result at the Asian Games freeing Son of mandatory military conscription just a minute example of such recognition. For now, Park Ji-sung holds the title of Asia’s best Premier League export. In terms of ability there is room for debate, but in regards to influence and success on the pitch, it’s not even a contest. But with Son yet to hit his peak, there remains yet another chapter in Son’s career – and it’ll depend on his development to answer whether or not there is another player worthy to be considered the Premier League’s best Asian player. 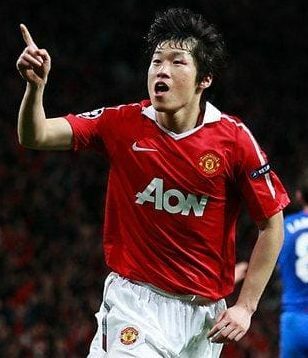 Sorry Park Ji Sung but Son has that title hands down. Son is the best Asian export ever and I am old enough to have witnessed Cha Bum Kun play. Son looks like Korean in appearance only. He definitely does not run, dribble, or think like a Korean. He is a freak. I agree with you. Son is made in Korea, modified in Germany, and revised in England. I’m hoping for the day when running, dribbling & thinking like a Korean is considered a mark of excellence. Agree with the above comment, Sonny is a global, elite level footballer by any metrics or country standards. He’s just elite level, period. Dribbling, speed, ball control, 1v1 skills, shooting missiles off both feet, finishing. He’s a game changer, and one of the better footballers in the world in today’s game. Was Park Ji Sung a good player on a great team that dominated it’s domestic league? Yes. Never saw him as an elite, game changing player. I don’t want to come across patronizing PJS’s accomplishments, it’s amazing and incredible just to crack a lineup in the top teams. Not sure who may have first started up this discussion or talking point, but I think it’s clearly heads/shoulders Son. Son is definitely the more skillful and talented player. Comparing technical skill, Park was only slightly better at holding the ball up, better at winning the ball, and could also play in the midfield. I think Park was more of a big game player though. Besides being a great at stopping star players like Pirlo, he scored crucial goals in big games for club and country. Also, Park was definitely a better leader. Not sure what kind of impact he had in the dressing room, but Park definitely led by example with his tireless running and mental toughness. Son is only 26 though. He still has time to add more to his solid career. Not to sidetrack from the topic of this post and I hope I’m not comparing apples to oranges but Son garnered a 30Million Pound transfer fee when he moved to Tottenham. Son is currently estimated to be worth 50Mil in the transfer market. Chelsea paid more than double for Pulisic to move from the Bundesliga and is worth more in the current transfer market than Son? I understand that clubs are paying for “potential” and Pulisic is only 20, but am I missing something? They both play attacking wingers. Pulisic’s skill set isn’t as impressive as Son’s from the beginning. Pace, attacking, passing, etc. Transfer fees have become very inflated over the last two years. It’s all Neymar’s fault! lol. $70 mil is now a mid level transfer fee…smh. Yup, this is exactly right. I don’t actually think it’s any dig against Sonny that Pulisic went for way more. And if Tottenham ever were to sell Sonny, they wouldn’t sell for 50mil. I think Sonny right now could easily go for 80-100mil, but he loves Spurs and never wants to leave. In 2010, Koreans made Park Ji Sung out to be one of the best soccer players of all time. Now he is nothing compared to Son Heung Min? People sure change their minds fast. Son is great. And he may get even better. But… facts: Park has gotten to the semi-finals and Round of 16 of a World Cup. He has won the Premier League 4 times. He has won the Champions League. Son has been on a hot streak lately, and so I understand why people suddenly want to name him the best. But don’t forget that results matter more than anything else in sports. And yes, you can argue that Park won those titles because he was on a great team and he wasn’t the main guy. But Son is part of the “Fab Four” of Kane, Ali, and Erickson… surely he is also benefiting from that. He hasn’t done nearly as much for country as Park has done, and I think that demonstrates a bit of what I’m saying. P.S. I love Son, not trying to knock him. In fact, I hate these kinds of discussions because it pits two people against each other unnecessarily. But if we’re gonna do it, it comes down to results in my mind. I just re-read title- Best Premier League Player. So forget my World Cup argument. Still, I think winning titles for Man U is more important than stats. Park played a journeyman roll for MU that had Ronaldo, Berbatov, Rooney, Tevez, Giggs, Scholes, etc. Not dissing PJS at all. He just don’t measure up to Son’s level. OK, but you can then say that Son only played in one champions league round of 16, and Tottenham lost that one. Park has played in higher stakes games (QF, SF of Champions League) and made crucial contributions where his team won. We are living in the age of Twitter and everything is greatly exaggerated. Son played awesome yesterday, but it was against Tranmere Rovers…. come on, I give Park more credit for losing to Barcelona in the Champions League final than what happened yesterday. Son’s individual stats may look better right now, but I’m just saying that so far, Park achieved more in his career. However, Son is still young and maybe can achieve more. We just have to wait and see. Hard to beat Park’s accomplishments. Your line of logic would place Jim McMahon and Trent Dilfer as better QB’s ahead of Marino and Fouts because they won the Super Bowl although aforementioned two don’t even come close to the latter two. Thanks for the lively debate though. I LOVE PJS, and he’s DEFINITELY the best leader SK has had, but come on. Of course, SHM is better and it’s not even close. And if we want to expand and talk about who is the best Korean player of all time, it wouldn’t even be the right question to ask who is the best between PJS and SHM. At this point, the debate for who is the Korean GOAT will be and should be between SHM and Cha Bum Keun. Don’t agree with the article. Son Heung Min, for what it’s worth and what he’s accomplished even at his young age is the G.O.A.T. for Korean players. He is the first korean player to be considered in the “world-class” category of any korean player we’ve had. His individual accomplishments already overshadow any korean player. PJS was great- but no one could consider him an elite player in the likes of SMH. PJS did accomplish more, but that UNITED team was stacked. On the basis of that to say that he was the better player is misguided. Also keep in mind that Tottenham hotspurs only got hot when SMH joined the team, tbh. They were an after thought before he came along and contributed to the attacking front. Great point Joel. As I stated before, I did see Cha play and even met him as a child. Again, great respect for Cha and Park but they are not even close to Son. To add to your point, lot of people don’t see the unselfish runs that Son makes that frees up his teammates. As far as transfer fee is concerned, I think Klopp approached Levy with an offer well over $50mil which Levy promptly refused. I think Michael is right and his value after earning military exemption would be around $100 mil.